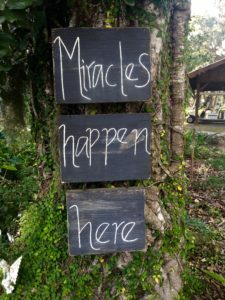 The Refuge – A Healing Place is a residential treatment center that specializes in the treatment of trauma-related mental health concerns, eating disorders, addiction, and co-occurring disorders. We offer treatment for adults age 18 and older. 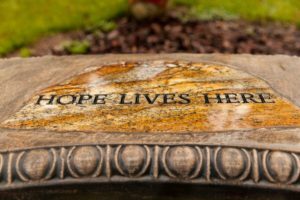 The Refuge is a nationally recognized leader in providing superior treatment services that are focused on helping clients achieve healing on all levels – physically, spiritually, and emotionally. 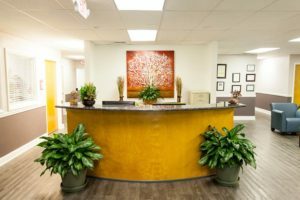 Recognizing that eating disorders require specialized care, The Refuge offers diverse, evidence-based, experiential, and holistic treatment styles that include a variety of therapies, intervention methods, and treatment modalities. Our client-centered, trauma-informed treatment methods aim to help individuals unravel past traumas that may have impacted their lives and that continue to drive unhealthy coping mechanisms, including an unhealthy connection with their body and food. Oak House at The Refuge offers eating disorder-specific programming in a safe and welcoming environment where clients are accepted and respected as they tackle the intimate challenges they are facing as the result of eating disorders like anorexia, bulimia, binge-eating disorder, body dysmorphic disorder, and orthorexia. Oak House is an open, diverse, and inclusive treatment program that proudly serves transgender, cisgender, and gender-nonconforming individuals, as well as members of the LGBTQIA community. Our trauma-centered approach differentiates us from other types of eating disorder treatment programs, as it allows us to treat the whole person instead of focusing solely on their symptoms. Treatment at Oak House includes seven full days of focused programming each week. Clients follow personalized treatment plans that are based upon a thorough assessment of their unique needs, inherent strengths, and treatment goals. Oak House is a completely separate program within The Refuge campus where clients participate in specialized clinical programming. Clients in this program have their own housing accommodations that are monitored at all times and eat meals in our supportive, monitored dining room. We have found that providing this safe space gives clients a sense of comfort, a sense of community, and a space to do their work without perceiving themselves as being judged by others who may not understand what they are going through. While at Oak House, clients receive individual, group, and family therapies, and may participate in other specialty groups based on their clinical and medical needs. 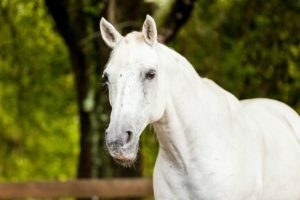 These specialty groups include art therapy, psychodrama, equine therapy, somatic experiencing, yoga, breathwork, meditation, massages, exposure outings, meal preparation, and adventure activities. The combination of these therapies, tied in with skill-based classes, meetings with a registered dietitian, and community meetings, provides clients with a truly well-rounded treatment experience. Oak House is able to serve clients who may have been denied from other treatment programs due to being pregnant, following a kosher diet, having other types of specific dietary requirements, requiring complex medical detoxification, and/or having certain co-occurring concerns. We proudly support these individuals by offering specialized services that meet their exact needs. Clients who are accepted into Oak House can expect to receive world-class care provided by experienced and compassionate professionals in an atmosphere of dignity and respect, regardless of their life circumstances. In addition to the eating disorder-specific programming offered at Oak House, The Refuge provides comprehensive treatment for other types of mental health and addiction concerns. Our trauma-focused approach to treatment carries over into the care we provide for people who are struggling with the effects of trauma, or who are suffering from illnesses like posttraumatic stress disorder, depression, anxiety, and addiction, among others. If you, a loved one, or a patient in your care can benefit from the eating disorder treatment services offered at The Refuge, please contact our admissions department at your earliest convenience. Or, if you have any questions about any aspect of our programming, we would be happy to help.